For any entrepreneur or a large scale company, having an office space is a must. Setting up of conventional office space from scratch is a very tough job. You need to keep in mind various considerations before you can have your ideal workspace. For a hassle-free and reliable office designing look no further than the San Diego Office Design. Consult an expert today to have the best ideas for designing your office space. A fundamental consideration that you need to keep in mind is the design of the workplace. It needs uniqueness and dynamism. Moreover, you would want to design the space according to your preference. There are a few key tricks and tips that you should know before jumping into designing and fashioning your workplace. The following section of the article lists all that you need to know about designing a flexible workplace. Let us have a look! The modern office space is all about comradeship. This is the reason most of the firm and brand offices are getting rid of walls and cubicles. Instead, you can opt for the glass dividers. This goes for the managers and executives as well. Open spaces should have a design for greater transparency and legroom. Get rid of the cubicles to ensure your workplace encourages the coordination between staff and increases fruitful conversations and colleague interactions. You should also devise a plan for a private room where staff can interact and work together for confidential cases. Having a private area is essential to focus on a job at hand properly. These private rooms obviously should have no windows, or at least include privacy curtains. Most of the offices around the world provide a small space per employee. Yes, you can fit in more employees by reducing the allocated space, but it reduces working speed and efficiency. Also, with the booming population, it is not possible to provide employees with ample legroom. How about instilling the "you can work from anywhere" mindset in your staff? This will allow for the home set-up for a few employees if your line of work permits for it. Also, make provisions and design areas according to the type of work for the employees. Flexible office space is a great investment. This is solely due to the fact that it will help you save big in reconstruction costs should the need arise. Investing in furniture that can be quickly hauled from one side of the building to the other including movable chairs, desks, and drawers is a great idea. Coffee shops, pantries, and cafeterias are places where staff can enjoy, relax and socialize. Make sure you have provisions for relaxation during breaks. Rustic as well as modern designs work well with the employee mindset. You can move beyond the traditional recreation rooms and design the office's very own playroom or wellness/fitness center. Provide more than just ultra-modern looking office space for your employees. In the present day and age, business and the way people think about jobs are very far removed from what it was traditionally. It is not just about the pay packet, but also the work-life balance. Design your workplace keeping the considerations listed above in mind. 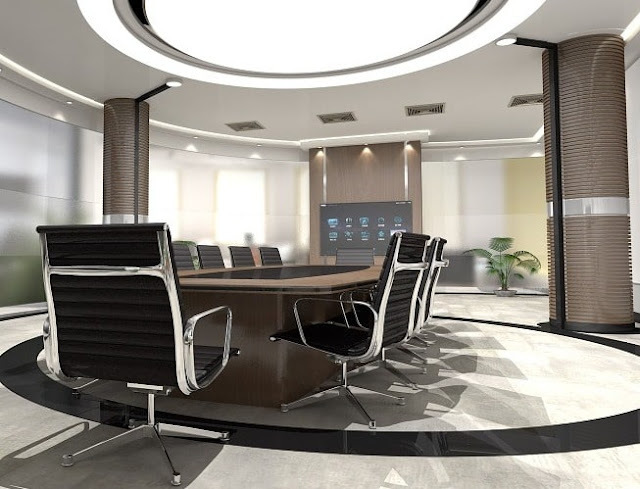 I hope you enjoyed this blog post about key office design considerations to have a successful workplace at your company. Interested in more articles about improving office design and workplaces?